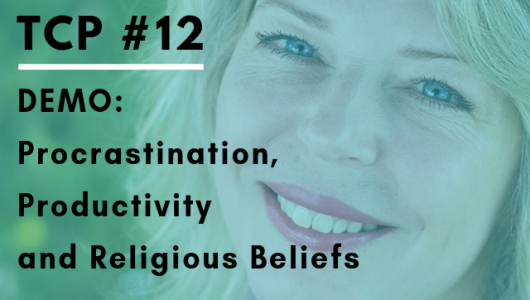 As you’re going to hear, all of us were shocked when she discovered the true reason for her procrastination (I really didn’t expect the coaching session to take the turn that it took), but this is often the way with coaching. One of the biggest mistakes you can make is thinking you know what the client should do, and the best thing you’ve got going for you as a coach is really seeing that your client has all the answers you need, and you’re really going to get that in this session. Since the demo, Karen told me she’s feeling much lighter and taking action. She said things that felt impossible or really hard suddenly are really light and easy. You’re going to be experiencing the whole thing for yourself!